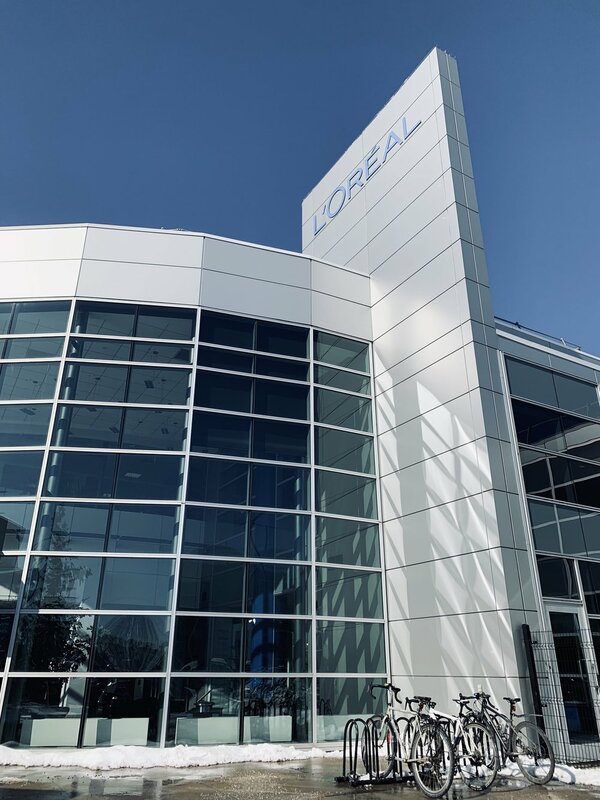 On Wednesday I had the chance to visit the Montreal L’Oréal factory to learn about their avant-garde manufacturing methods as part of their commitment to sustainability. We visited the lines of production where hair styling products, micellar water and hair colours are fabricated for a variety of brands of the L’Oréal Group. Since 2005, the Montreal factory reduced its consumption of water by 57% (they now reuse it indefinitely), of CO2 by 100% (the factory is now carboneutral), of energy by 37% and of waste by 39%. I was really impressed with their objectives for 2020, their desire to improve packaging methods and also support agricultural communities where the raw materials are extracted. It was a fun visit made possible by the welcoming team at the factory and the lovely people at L’Oréal! As you already know, I love listening to podcasts on my morning commute. So many interesting episodes came out this week, including this Self Love Club episode with the founder of the Twenties Club (recommended to me by the lovely Sophie). Maddy is one of the most genuine bloggers and in her podcast debut she discusses the process of coming up with a business plan for her blog, her partnerships and self-care. I finished it feeling inspired and ready to take on the day! Back in the days, The Coveteur was part of my daily routine. I would read blog posts while having breakfast and the ‘inside the closet’ posts were some of my favourite features. Somehow this week one of the most stylish people on Instagram, Babba C. Rivera (also known as the founder of By.Babba) was ther interviewee. Her closet is colourful yet serious and more than half of it is from Scandinavian brands like Stine Goya and ATP Atelier. I urge you to have a look! Finally, something for the introverts and the homebodies with the great Dolly Alderton! In this interview, the host Róisín Ingle asks Dolly about finding her flat, what she loves more about domestic life and past experiences of living with friends. It made me feel so good and so relaxed as an introvert myself (introvert in this context is someone who gets their energy from spending time alone, it’s not about being shy or not).